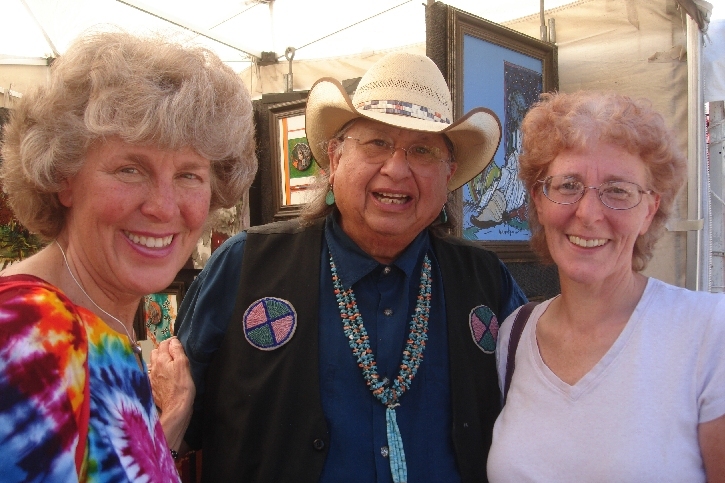 In August 2016, my sister Beth from Tucson had a conference to attend in Santa Fe, New Mexico. I was quick to tag along to check out the art! 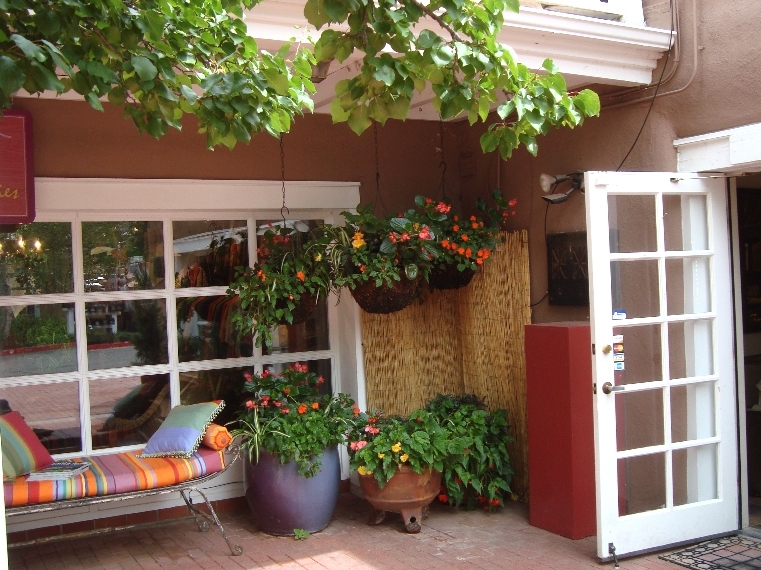 Like Sedona, Santa Fe is filled with beautiful adobe structures. 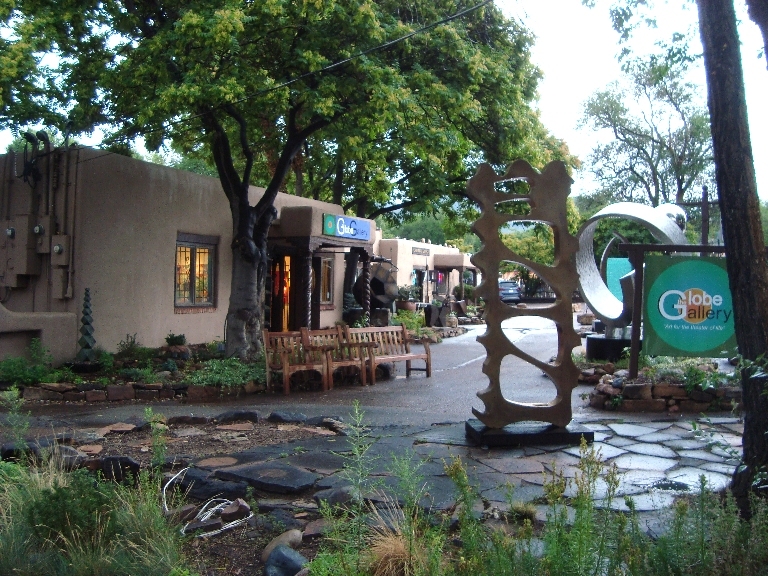 Unlike Sedona’s clean, contemporary adobe look, much of Santa Fe’s is rustic and natural. You can feel the evolution of structures over time. 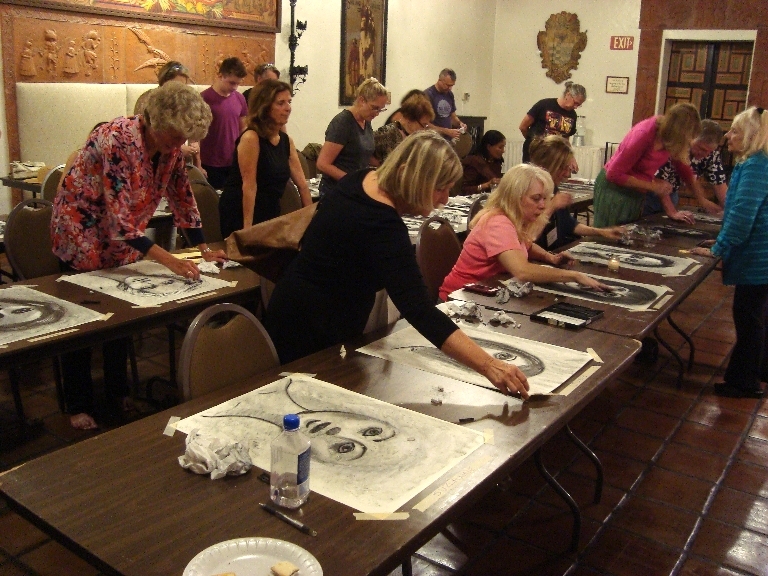 As part of her conference, my sister and I took a Healing through Self Portraits workshop with Amy Stein. Actually it was drawing your inner self, as there were no mirrors. I think her quirky humor was the most healing aspect of the workshop! 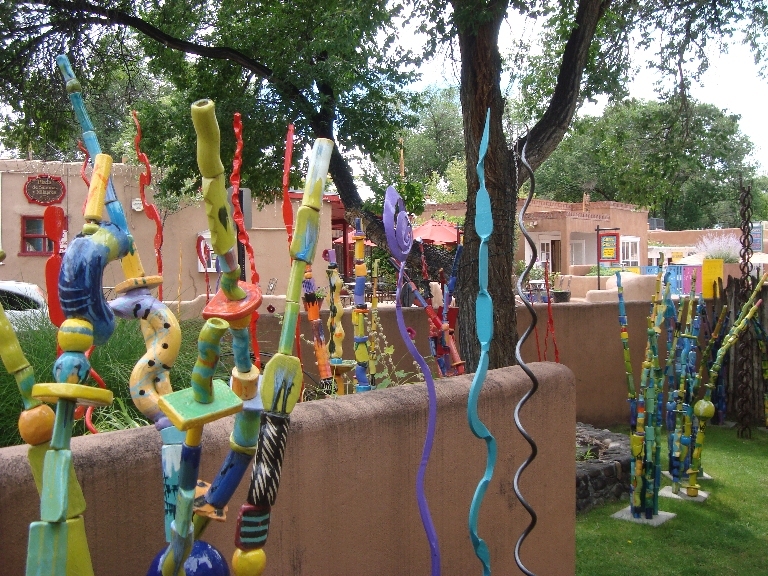 The galleries on Canyon Road are a fairyland of exploration! Amid much wonderful abstract art, I made some good connections. Serendipitously, the week before, someone had told me to check out the art of Stan Berning. 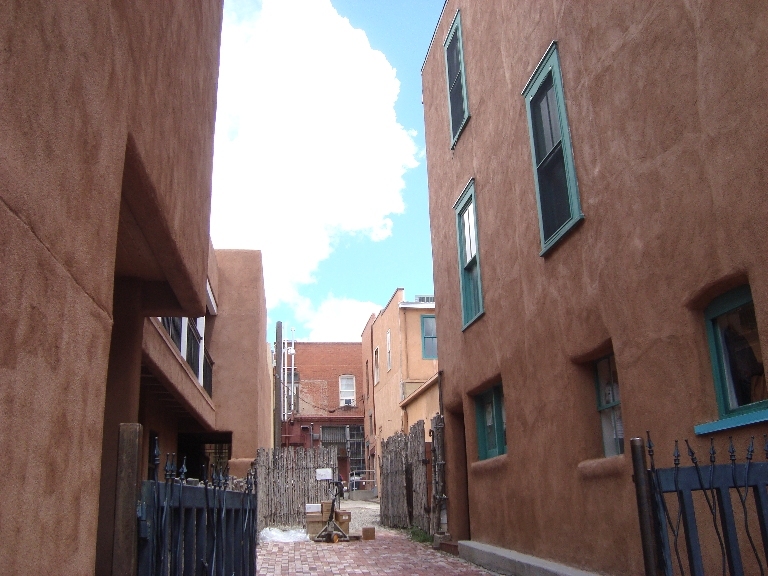 I was impressed with his work – and excited to learn that he lived in Santa Fe, just where I was going! Right off the main square, his studio has an exhibition space called Art Box that can be seen through a big window even when he’s not there. 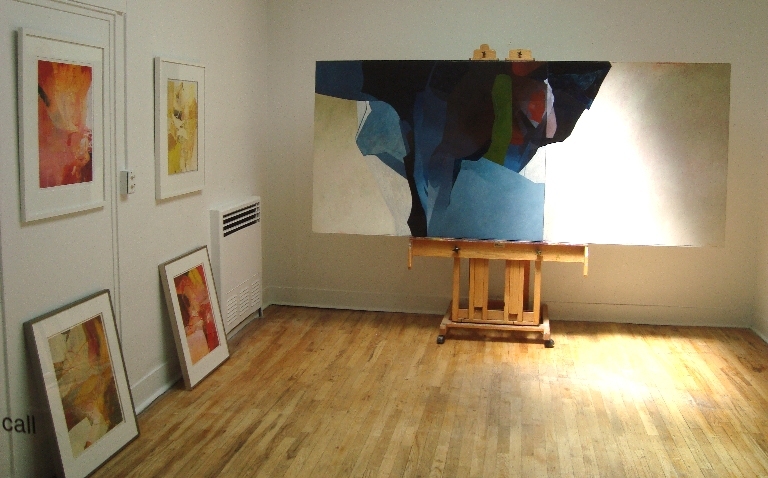 Thrillingly for me, we were able to meet and have a long conversation about abstract painting. Stan showed me a treasure trove of luscious paintings that had not seen the light of day for a long time! Apparently I was so engaged in the moment that it never occurred to me to take a picture of him in his studio to show you. Another special connection was made in Santa Fe. A Fun Fact from my past is that my sister’s and my high school art teacher in Austin, Texas was a Mexican-American/Native-American who went on to become one of the most highly successful and well-known artists in that arena, Amado Pena. We visited him at his gallery in Santa Fe, plus I managed to find his sprawling studio somewhere in the most convoluted and authentic red-dirt back roads of an Indian reservation. We paid him one last visit at his booth at the art fair that happened to be held the final day of our trip, and headed home. This entry was posted in Inspiration, Julie Bernstein Engelmann News, Trips on September 12, 2016 by Julie.